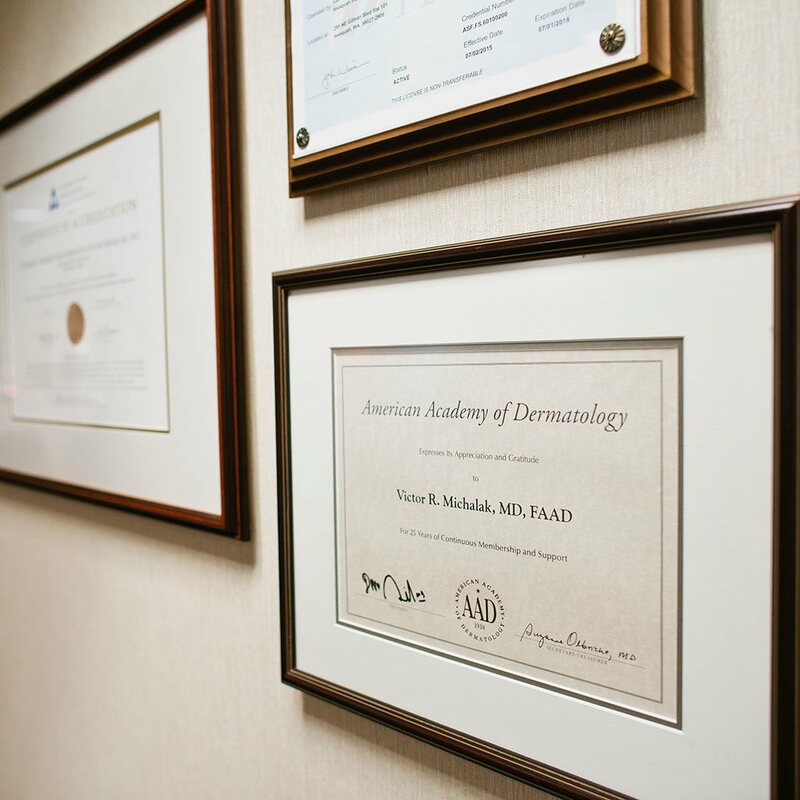 In his Seattle-area practice, Dr. Michalak performs a variety of Laser Treatments in Seattle and Issaquah to treat skin conditions like unwanted hair or visible veins. Additionally, he offers Ulthera and laser resurfacing to help you achieve your desired result. Fractional CO2 Seattle & Issaquah Laser Resurfacing treatments can be used to dramatically tighten your skin by contracting collagen as well as improve the texture of your skin by reducing pores, wrinkles and acne scars. Fraxel Seattle & Issaquah is a type of laser treatment that utilizes columns of laser energy to treat fine lines, uneven pigmentation, age spots, acne scars as well as other skin issues. The Fraxel Facial Seattle & Issaquah uses laser energy to increase your skin’s permeability, combined with powerful, fast acting rejuvenation medications to smooth the surface of your skin, improve the color of your skin, and add new collagen with a single no downtime treatment. Laser Dynamic Therapy Seattle & Issaquah combines laser treatment with a topical solution to treat areas of the face that show sun damage and may be red, have uneven pigmentation or enlarged pores. GentleLASE Seattle & Issaquah is a long pulse laser that treats many skin conditions like unwanted hair, lesions, age spots, visible leg veins and wrinkles. Laser Hair Removal Seattle & Issaquah is a comfortable and effective way of removing unwanted body hair without damaging the surrounding skin. Skin Tightening is a laser-based treatment that tightens skin by encouraging the renewal of collagen under the surface of the skin. TotalFX Seattle & Issaquah is a treatment that uses a fractional laser to tighten and resurface the skin resulting in a reduction of fine lines, discoloration, and scars, along with additional skin irregularities. Ulthera Seattle & Issaquah treatments utilize sound waves that penetrate deep into your skin that encourage a tightening and lifting of the underlying tissues, helping you look younger and healthier. V-Beam Laser Seattle & Issaquah is a light-based treatment absorbed by the blood vessels of the dermis to treat many skin conditions like rosacea, scars, crow’s feet, stretch marks and warts, among others. Laser Vein Treatments Seattle & Issaquah apply energy to small, unwanted veins causing them to disappear. This treatment may be combined with sclerotherapy treatments. Laser Resurfacing Seattle & Issaquah utilizes lasers of the surface of skin to stimulate the healing process and diminish skin problems such as some wrinkles, age spots, uneven pigmentation and scars.